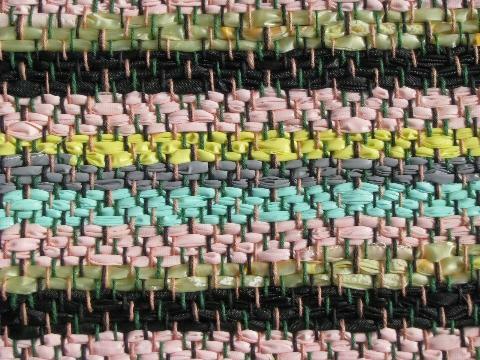 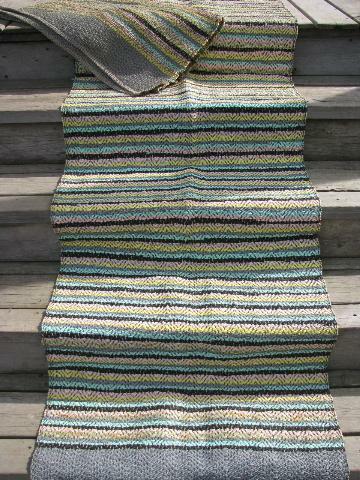 Two large outdoor / porch rugs, woven plastic with stripes in great vintage colors - deep grey, turquoise, yellow and pink. 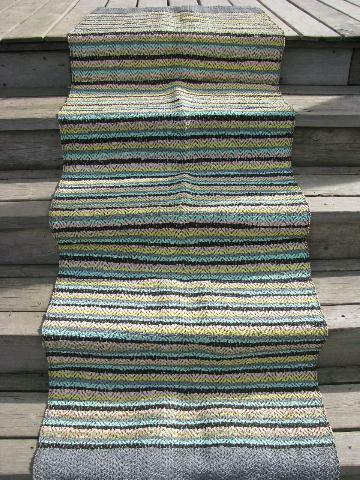 These make wonderful runners, too (we've shown them on our own stairs so you can see them over steps). 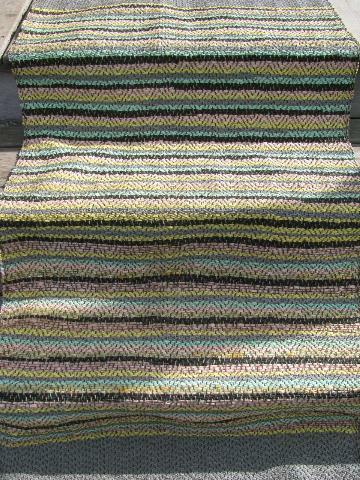 Both of these rugs are in very good condition, nice and clean, I don't believe they've been used at all. 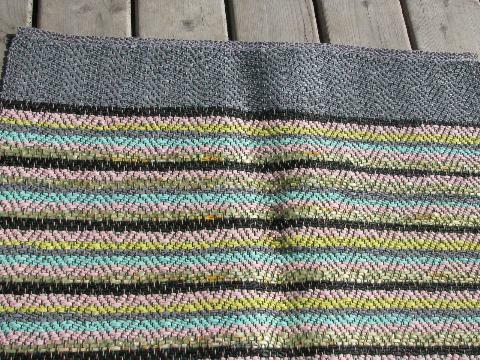 Both are 28" wide, one measures 58" long, the other 100" long.